Barca coach offered no explanation for Catalan's shocking loss at last placed Leganes on Wednesday night. Braziilian Philippe Coutinho scored in the first half to give Barça the lead but Leganes scored twice in 68 second after the break to turn the game on its head. "This is football and these things can happen," Valverde said. "Sometimes it’s difficult to explain what happens in a game. You have a game under control and then the opposition can do damage like [Leganes did] in one minute." The coach added: "We respect our rivals and we know they can do damage. Then they sat back and made it hard for us to create chances. There were a lot of bodies and it was tough." "We had a double chance, but it wasn’t to be. We wanted to get the second goal because a one-goal lead is never enough. At 1-0 you’re close to an accident. We didn’t create the chances we would have liked." Barça are now without a win in two games after drawing with Girona at the weekend and Valverde said "that’s five points in three days gone and it’s difficult to explain." 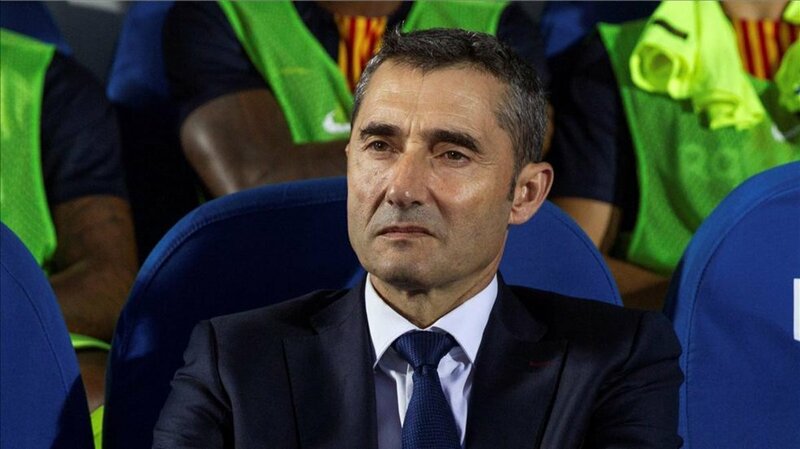 Valverde was happy to take the blame for the dropped points but he wasn't going to pin the blame on the rotations, with Luis Suarez and Jordi Alba left on the bench. "There were two changes," he said in defence. "In the case of Luis [Suarez], I had thought about resting him for one of this week’s games. "As for Jordi [Alba], it was because he’s played every game and I was worried he’d get a problem. It’s easy to speak about that after the result. We have to get over the feeling these two games have left." His interviews put me to sleep... he seems emotionless. Can’t imagine him ever shouting at our players or disciplining them. Pathetic stuff.. it’s Leganes and we are Barca. He oozes weak mentality and it probably affects the team. Problems with lack of motivation were here since 2012. It's no easy task to motivate players who won everything but that's what's required at Barca and Valverde is not up for it. He's a nice man but over his head in Barca.